Many South Africans realise (with a shock!) that they have been blacklisted when they try to apply for credit but are denied. 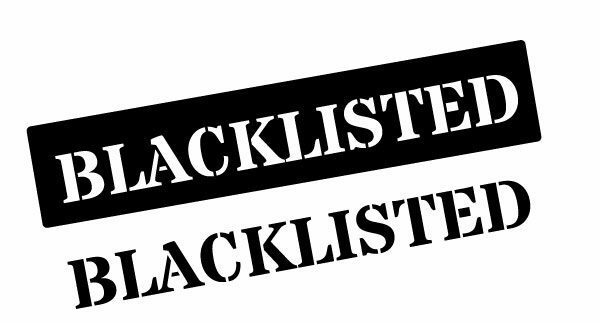 The word ‘blacklisted’ can mean a number of different things, so it’s important that you understand how it applies to your unique situation. You could, for example, be blacklisted by a certain credit provider. If your account is in arrears and you are unable to pay, then the credit provider may have blacklisted you from their establishment so that you cannot purchase any more goods. If you are behind on your payments but there isn’t a judgement against you, then you will still have the opportunity to contact your credit providers and settle your accounts. If you are unable to settle your account or accounts, then you can contact the National Debt Mediation Association to help you negotiate with your creditors, or you can contact a private debt mediation company such as Debt Rescue, for example, to help you. Debt counsellors can also help you to protect your assets such as cars or other items if you are worried that you could lose these during the mediation and negotiation process. A judgement against your name will take five years to clear and being blacklisted will take two years to clear. During this time, you will probably find it virtually impossible to get a loan from a bank for a car or a house. We understand that having your own car to get from one place to the next in South Africa is necessary. So if you have been blacklisted and need car financing, then consider rent-to-own options from Earn-a-Car. With rent-to-buy vehicle financing, you won’t be taking on any more debt and you can own your vehicle in a few short years. Contact us to find out more today.